Wedding Style: 6 Looks that are Hot for Bridesmaids! Girlfriends are truly one of life’s greatest gifts. We know that the special group of ladies you’ve so carefully selected to stand by your side during your wedding couldn’t be happier that they’re part of the chosen few! So, it’s awfully nice of you to select a lovely, trendy number that they actually can wear again! From patterns to Pantone, below are the top six trends that we love this year, along with some great gift suggestions for your bridesmaids. Keep ‘em happy and they’ll in turn serve you well through the thick and thin of your wedding planning. We seriously can’t stop grinning over this trend (featured in the photo above) — allowing your bridesmaids to select their own dresses based on their individual personalities will put smiles on their faces! We suggest selecting a colour scheme like pastels or neutrals, and then have them pick out something they love. If you trust your girls enough to be bridesmaids, you can probably trust them to wear something tasteful on your big day. And when in doubt, go shopping with them! 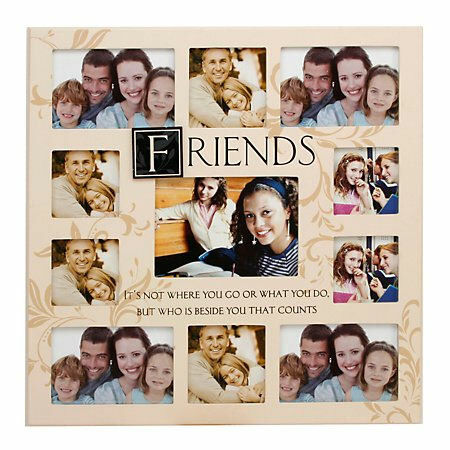 Ask each of your friends to be your bridesmaid with this Friends Collage Photo Frame, a reminder of how much you appreciate them. The frame has space for 11 photos, so start going through your Facebook photos! Show off your creativity with a heartfelt gesture, choose your wedding photo frame. 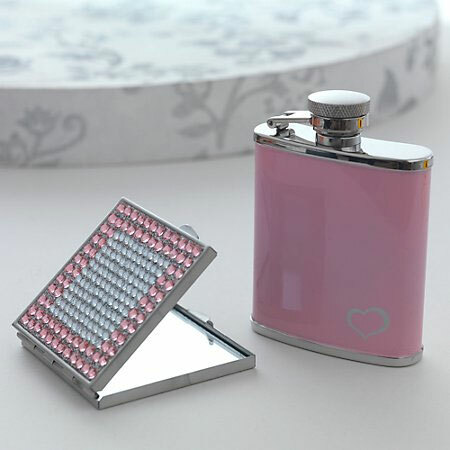 Your entourage will love this Pink Hip Flask and Compact Mirror — just don’t let them get too tipsy before the wedding! 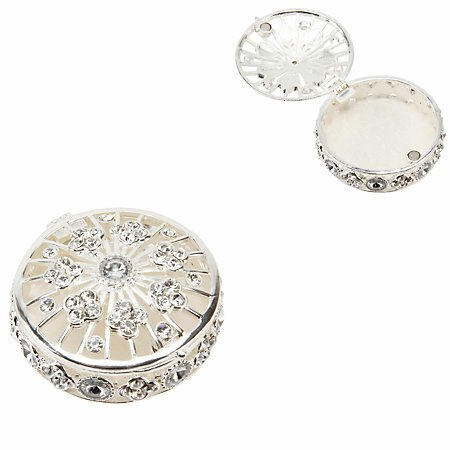 The rhinestone-covered compact is perfect for those lipstick touch-ups throughout the day. While it’s definitely unexpected, a patterned bridesmaid dress can be oh-so cool for multiple reasons. First of all, it doesn’t look like it came right off the pages of every bridal magazine. Secondly, it may be wearable for another event, whereas most bridesmaid dresses hang in the backs of closets, never to be worn again. Whether you choose something floral, striped or abstract, printed dresses will definitely have your girlfriends thanking you. 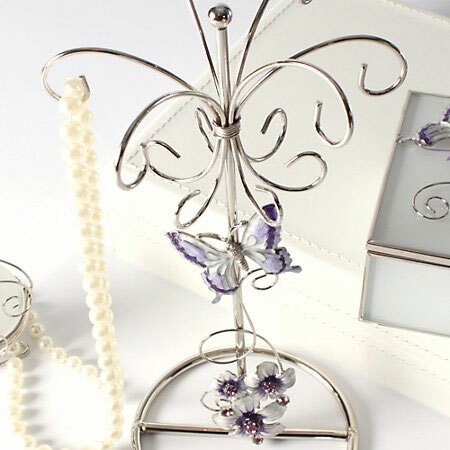 Pair this Purple Butterfly Jewellery Holder with a special piece of jewellery for the girls to wear on your big day! Let your ladies twirl into this trend! Like the mismatched dresses, this take on a bridesmaid’s dress is a great way to modernise your wedding, while still keeping it timeless. Whether all the girls wear the same skirt and top, or you allow a little variety, separates are a very unique look. Choose something short for a more casual wedding, or a full-length skirt to keep it formal. 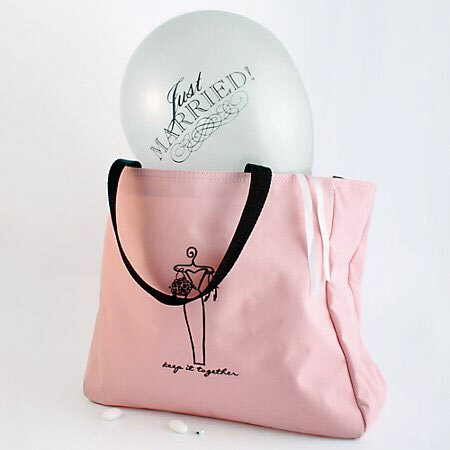 Your girlfriends will be able to house all of their wedding-weekend essentials in this pink tote bag that has inner and outer pockets to store their getting-ready make-up and accessories. Get ready to fall in love with our “Keep it Together” Tote Bag. Emerald green is the colour of the year, ladies, according to colour expert Pantone. No matter what their skin or hair colour is, your bridesmaids are bound to look amazing in this saturated shade. The jewel tone will also make your white dress stand out. Get inspired by the colour for your wedding reception, read more about Emerald Green. Diamonds are a girl’s best friend, right? 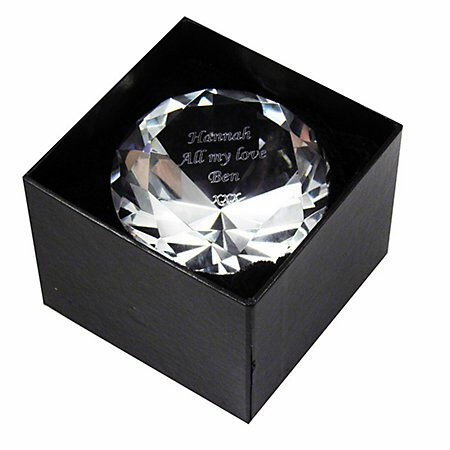 This Diamond Paperweight can be personalised for each lady in your wedding party, and will add some special sparkle to their desk. From feathers to flappers, the roaring ‘20s are back! You can easily incorporate the Gatsby-esque theme into your wedding party’s wardrobe without taking it completely literal (or, you can go all out!). Find a dress with a lovely sequinned pattern — perfect for a glamourous affair. Transport your guests back to the golden age of jazz at your Great Gatsby matrimony, Bride & Groom Direct have just the perfect style guide to help you throw a 1920’s style wedding. The Sophia Round Trinket Box fits the 1920’s style and is just the right size to hold her rings and other special mementos. If you haven’t finished the search for your loved ones’ thank you presents, go online and discover our impressive collection of wedding gifts for Bridesmaids. 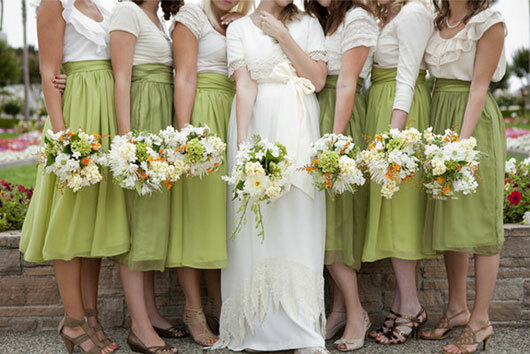 What did your bridesmaids wear? We’d love to see! Or, have a burning question to ask fellow brides and us? Post it on our Facebook.